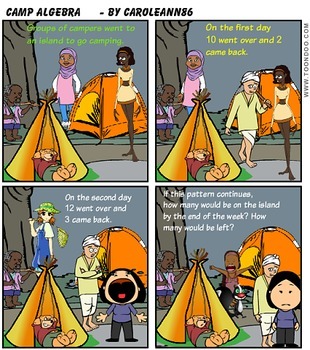 Groups of campers went to an island to go camping. On the first day 10 went over and 2 came back. On the second day 12 went over and 3 came back. If this pattern continues, how many would be on the island by the end of the week? How many would be left?